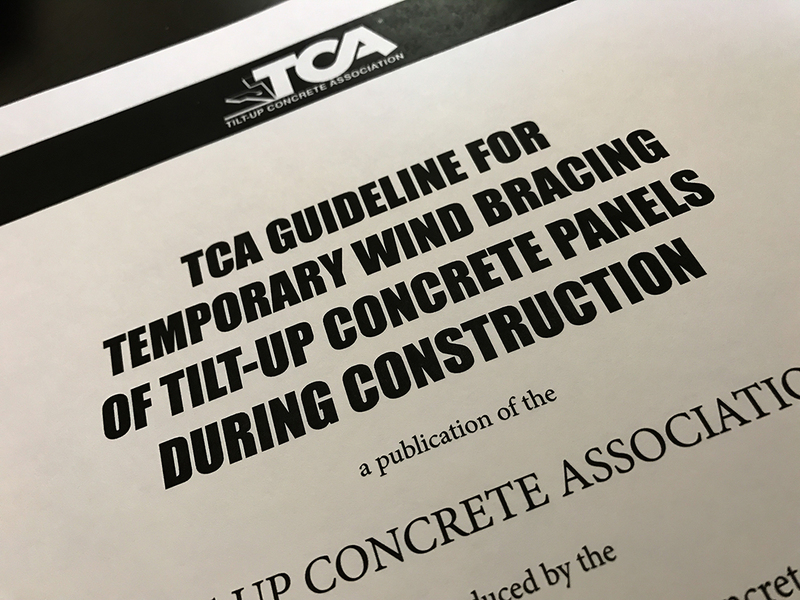 The TCA Board of Directors issued an RFP to update the Association’s 2012 guideline on temporary bracing of tilt-up panels. Over the past three decades, this document had been prepared and maintained by the Association’s Technical Committee under the volunteer leadership of such experienced professionals as David Kelly, Joe Steinbicker, Scott Collins, Roy Edgar and others. Joe Steinbicker was awarded the contract for development of the updated 2016 version of the guideline to document TCA’s position in relation to the changes proposed in ASCE 7-16. 1926.704(a) – Precast concrete wall units, structural framing, and tilt-up wall panels shall be adequately supported to prevent overturning and to prevent collapse until permanent connections are completed. The regulation, however, does not provide any direct language or procedure for defining what “adequately supported” should be. In 1998, the TCA developed its second guideline to address the OSHA requirements, but the first to provide an analytical method for calculating the wind forces to be used to design the temporary braces to provide for life safety. That is, the temporary bracing condition would support panels for a wind speed sufficient to alert and remove all persons from a job site prior to the bracing system reaching its limits. The guideline was never intended to provide total protection against loss of property, although the guideline expanded over subsequent editions to provide rational guidance for such decision making. 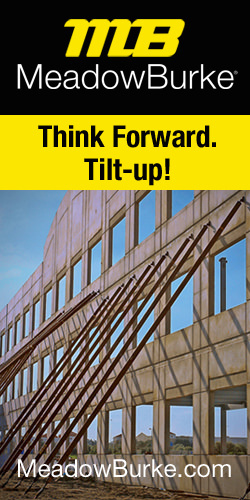 The primary purpose of the temporary bracing for tilt-up panels is to resist wind loads during construction. As wind speeds increase, the amount of force applied to the face of a tilt-up wall panel increases exponentially. Therefore, as changes are made to the required design wind speeds for buildings (and therefore construction), the impact to the temporary bracing design can be readily determined. The 2005 version of the guideline was revised to incorporate the construction period wind load parameters contained in the document ASCE/SEI 37-02, Design Loads on Structures during Construction.. However, the proposed guideline incorporates the wind load calculation methodology of the proposed ASCE/SEI 7-16 while eliminating the reference to the current ASCE/SEI 37-14 document, since the proposed TCA guideline is intended to be the recognized tilt-up industry standard. Want to know more? Contact TCA’s Manager for Regulatory and Technical Affairs, Jim Baty at 319-895-6911 or by email at jbaty@tilt-up.org. 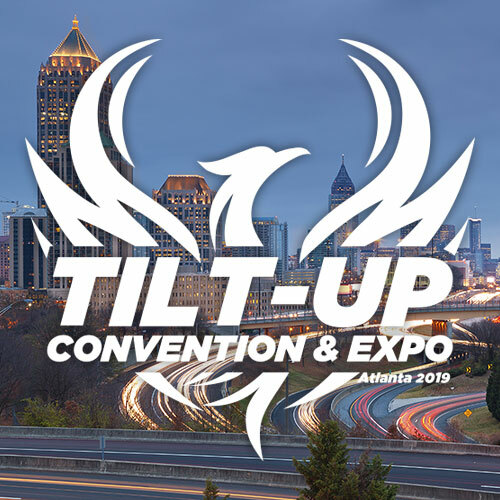 The mission of the Tilt-Up Concrete Association is to expand and improve the use of tilt-up as the preferred building system by providing education and resources that enhance quality and performance. More information can be found at the association website, www.tilt-up.org.